This is one of those photos I hold dear in my collection. 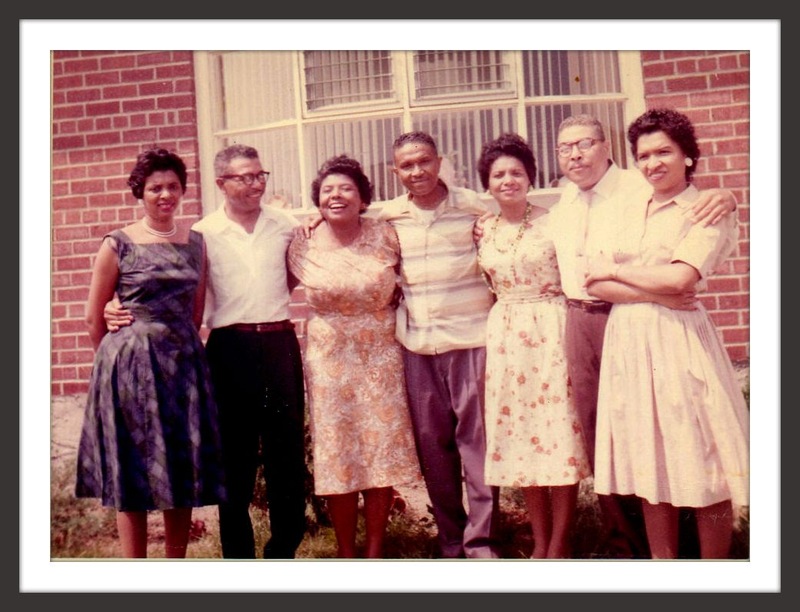 It is one of two that I have that has 7 of the Bryant siblings pictured together. 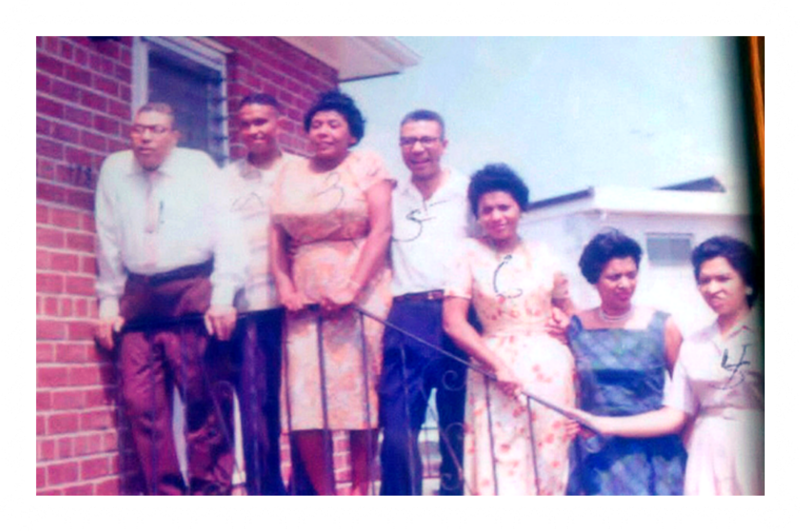 My Bryant family line is one of my maternal lines that came from Morehead City, NC. Morehead City is located in Carteret County and is approximately 36 miles southeast of New Bern, NC. These were the parents of the 7 shown above. 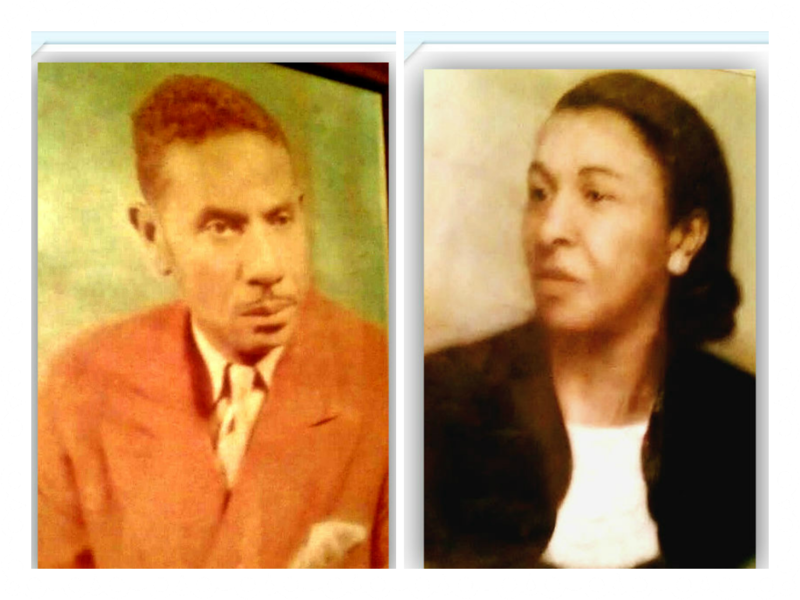 I love analyzing the faces of family members to see how family traits get passed down from one generation to the next. My grandmother, Mary Bryant Harrison Horton, is the one standing 3rd from the right. I'd say she favored slightly more her dad than her mother but she really had a mix of their features. Frank, Eloise, and Loris looked more like their mother, while Ray and Lynwood took after their father more. Rosa I think was a mix of the two like my grandmother. I love technology these days and what photo editing can do to bring pictures back to life. I used Fotor.com and was able to brighten up the next one a bit. This picture shows the siblings standing in birth order. It's funny, I don't know why I didn't realize something until now. The numbers that were written on this picture must have been written by my Aunt Rosa. She passed away in 2012 and was last one to die. That's why there isn't a number on her in this photo. The numbers written on the picture correspond to the order in which they died. Wow. That must be so hard not having anyone to talk about childhood memories. All those voices gone but only to be heard inside your head and heart until it's your turn to cross over. Such a poignant post. This reminds me so much if my mother and her siblings, 9 of them to start, only 4 of them left now. Close families are a blessing. You are blessed. Thanks so much! Yes close families are a blessing. I am close to tears thinking of my own mom's family and my Aunt Geneva @ 102 yrs, the last one still living and the oldest of seven. She saw each one of them being born and each one of them pass away. We are blessed to still have her with us, and blessed by the memories of those gone too, as you are also blessed. Touching post Andrea! Thanks Victori! It just amazed me that I didn't get what I was looking at the first time I saw this picture in regards to the numbering. You are blessed to have your Aunt Geneva still. 102 wow! You have longevity in your genes. 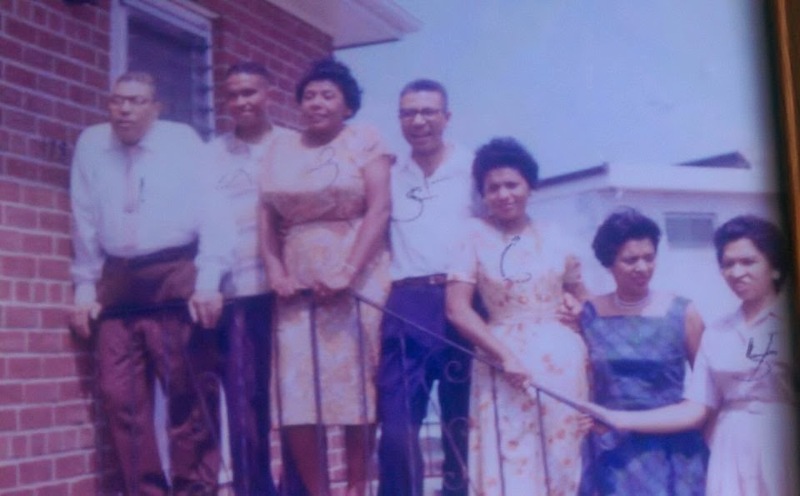 There were 7 siblings in my father's family too. Only two of my aunts are left. They are both in their 90s and live in different states so they only get to talk on the phone and haven't seen each other for years. Sad when you think how close they all were for so many years. They do each have their children and grandchildren living close so that is good. Those are wonderful! It's hard to find a picture with all of the people you want in it!